Gold dipped slightly on Monday after a three-day rally, but the metal still held close its highest in nearly three weeks, as the Federal Reserve\'s move last week to leave US. Interest rates unchanged weighed on global equities. Gold dipped slightly on Monday after a three-day rally, but the metal still held close its highest in nearly three weeks, as the Federal Reserve's move last week to leave US. Interest rates unchanged weighed on global equities. 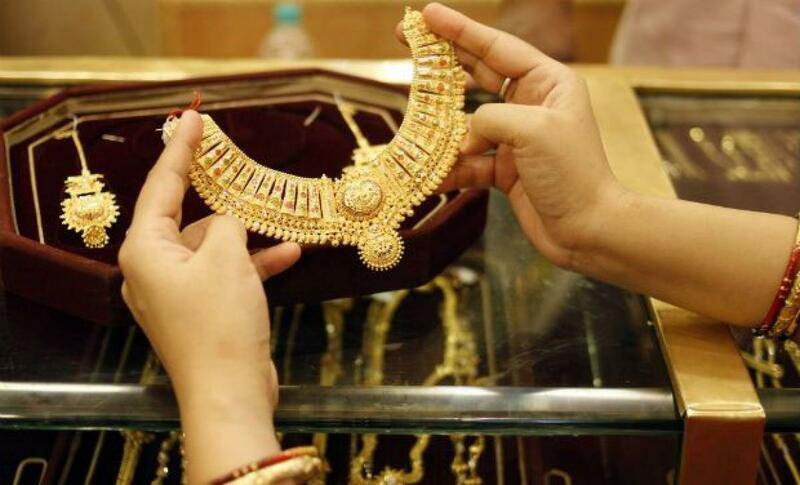 Spot gold dipped 0.2 per cent to $1,137.20 an ounce by 0051 GMT, after gaining 0.7 per cent on Friday. The metal had climbed to $1,141.50 in the previous session, its highest since Sept. 2. The Fed kept interest rates unchanged on Thursday in a bow to worries about the global economy, financial market volatility and sluggish inflation at home. It left open the possibility of modest rate rises later this year. A majority of Wall Street's top banks now expect the Fed to begin increasing rates in December, according to a Reuters poll conducted on Thursday after the Fed's policy decision. Stocks on major markets slipped on Friday and bond prices rose, pushing yields sharply lower, and helping safe-haven gold. Stocks and currencies in emerging markets, which are more vulnerable to higher US. interest rates, briefly welcomed the Fed's decision to postpone an interest rate rise, but their bounce faded with the persistent sell-off in developed markets. The decision to not hike rates last week is positive for non-interest-paying gold, which could see demand drop with higher rates. But with the Fed expected to hike rates before the end of the year, gold's gains could be limited. Hedge funds and money managers slashed their net long position in COMEX gold to a five-week low and cut a bullish silver stance for the first time in six weeks in the week ended Sept. 15, US. Commodity Futures Trading Commission data showed on Friday. Russia's gold reserves rose to 42.4 million troy ounces as of Sept. 1, compared with 41.4 million troy ounces a month earlier, the central bank said on Friday. The dollar started Monday trade on a firm footing, having recovered recent losses as major central banks were quick to burnish their dovish credentials after the Fed last week delayed a long-anticipated hike in US. interest rates.